Whether you ride on trails or in the dressage ring, bringing out the calm and focused personality in your horse will be an asset to his or her training. It stands to reason, if he trusts you and deems you as a safe and fair leader, anything is possible. Targeting first at liberty and then from the saddle will be a powerful tool on the trail. If he sees something scary rather than immediately bolting, spinning or bucking, he will see it as an opportunity for treats! 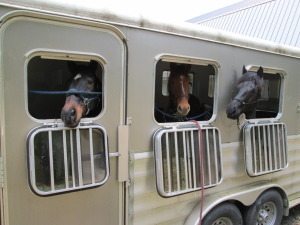 In this way, I have trained my horses upon my voice command, “Touch,” to target a mailbox, recycle bin, bike on the road or even moving objects such as trucks or construction, loud recycle dumpster trucks or school bus. The horse obviously does not touch moving object but the horse turns back for a treat at the time when the object passes by. Eventually the horse does not need food motivation. In this way, you can turn a horse that hates the clippers, horse trailer, whip or flag into a horse that likes those items. It really is all about positive training. When I adopted Mick, he was a BLM Mustang and did not want to be touched, haltered, blanketed, brushed, tacked up, clipped or tied but with a combination of seeing me as a fair leader, clicker training and targeting, he does all those things now and he is only three years old. 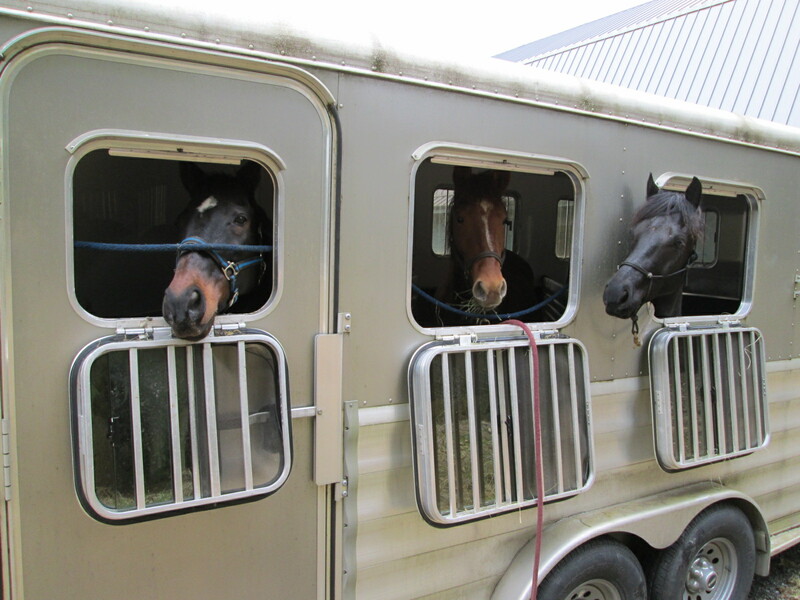 My responsibility to my horses is if something happens to me, they would easily find a home. 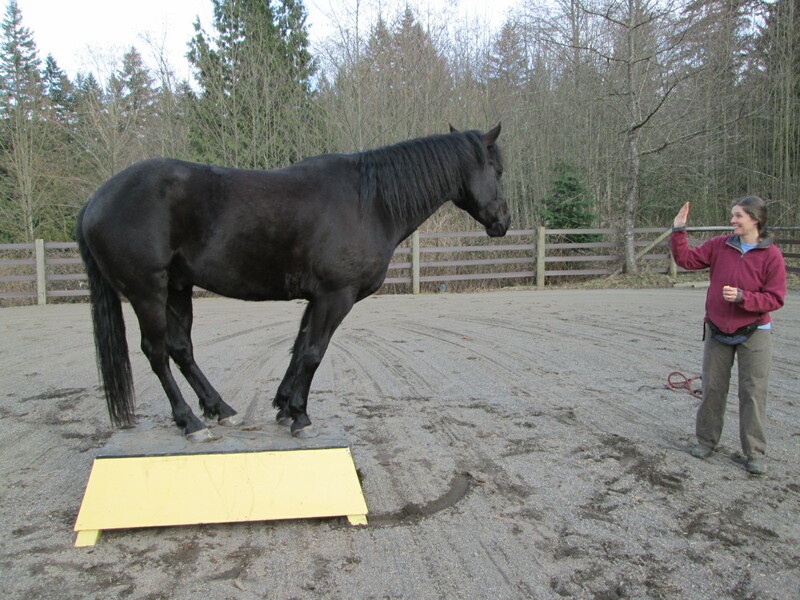 People make excuses for their horse’s poor behavior but it really does the horse a disservice to assume that with the proper training he or she cannot overcome fear or poor behavior. It’s all about bringing out good behavior and locking those positive neurologic patterns in with conditioning.